CATHEYS VALLEY, Calif. (KFSN) -- Two burglary suspects may have thought they hit a jackpot when they entered a brand new home before the new owners had a chance to move in. Mariposa County Sheriff's Deputies responded to a residence on Old Highway in Catheys Valley for a report of a residential burglary. The homeowners had recently finished building their home and were in the process of moving into it. The suspects removed almost everything inside the home, and what they didn't take, they damaged. Among the items taken were two Polaris side by sides, all the living room furniture, throw pillows, artwork, generators, wood splitter, TVs, all kitchen appliances, dining room tables, window shades, coffee cups, washer and dryers, mattresses, multiple dressers, and they even stole the dog bowl. Through an extensive investigation that spanned two counties, Mariposa Sheriff's Office Detectives served a search warrant yesterday on an address in the 1000 block of Loughborough Drive in Merced, CA. Inside the home, detectives located two suspects, 24-year-old Crystal Gonzalez-Alatorre and 36-year-old Christopher Reyes, both of Merced, along with multiple items matching those taken from the home in Catheys Valley. 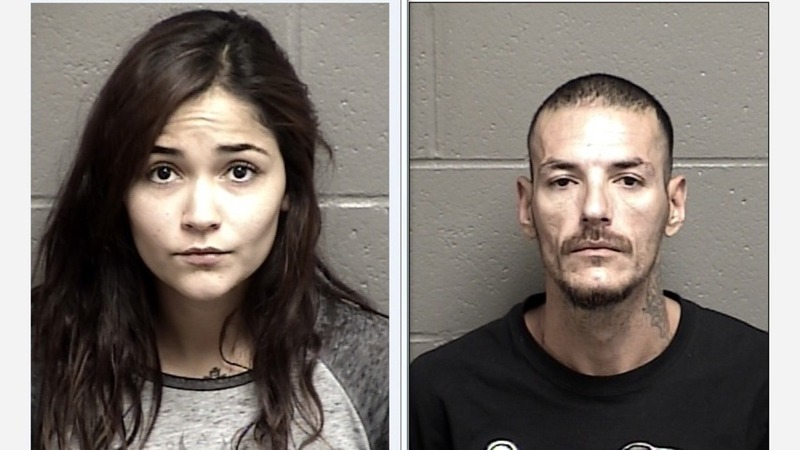 Both Gonzalez-Alatorre and Reyes were booked into the Mariposa County Adult Detention Facility on multiple burglary charges.